It's been a long six years since former Merrymakers man David Myhr put out his excellent debut album "Soundshine" back in 2012. And the wait through those half a dozen trips or so around the "Jealous Sun" have been well worth it judging by his magnificent second offering "Lucky Day" (LoJinx LJX115), released last week. Recorded in Stockholm and Nashville and co-produced by Brad Jones and Andreas Dahlbäck, "Lucky Day" is a wondrous marriage between Power Pop and Country with hints of Americana. Add to the mix the fab vocals (lead and backing) on hand coupled with such strong melodies and you have - make no mistake about it - an early candidate for elobf Record of the Year. It's THAT good, beginning as it does with the stunning guitar driven opener "Jealous Sun" and journeying through the infectious "Room To Grow", "The Perfect Place" (a pop masterpiece if ever there were one replete with a classy ELOesque string arrangement) and the pensive "Every Day It Rains". Title track "Lucky Day" has a Lynnesque "Shangri-La" feel to it (lyrically speaking) and the purest of vocals. The record alternates in tempo giving an overall balance enhanced by the acoustic "If You Really Think It's Over" before the the laid back, almost jazzy "Wait Until The Moment" has you dreaming of Summer with its Lite Rock vibe and urge for patience. 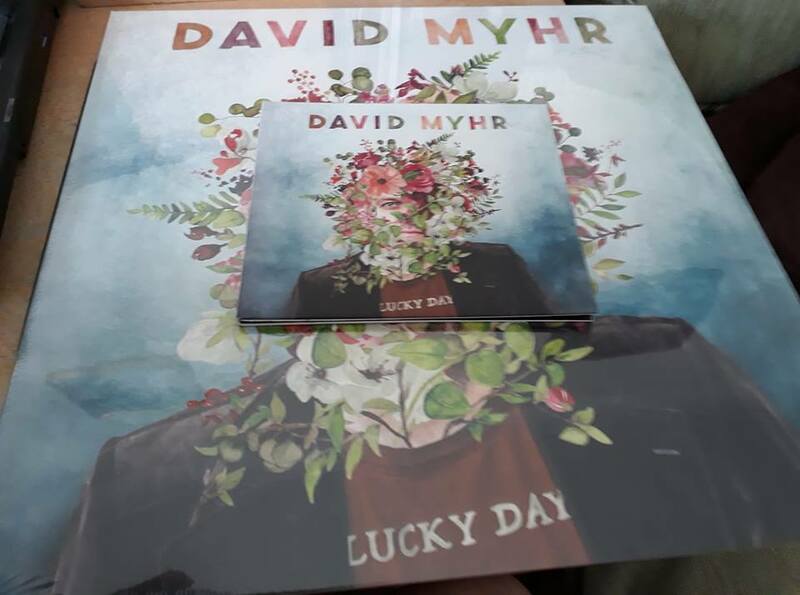 The obvious influence of David's musical heroes Jeff Lynne, Paul McCartney and (of course) The Beatles overhangs a collection of songs clearly proving that David Myhr is up there with the very best of singer/songwriters to come out of Sweden. elobeatlesforever (elobf) recommends "Lucky Day" by David Myhr to those enlightened folks who enjoy the music of ELO, Jeff Lynne, Roy Wood, The Move, The Idle Race, 'Brum Beat', The Beatles and related artistes.